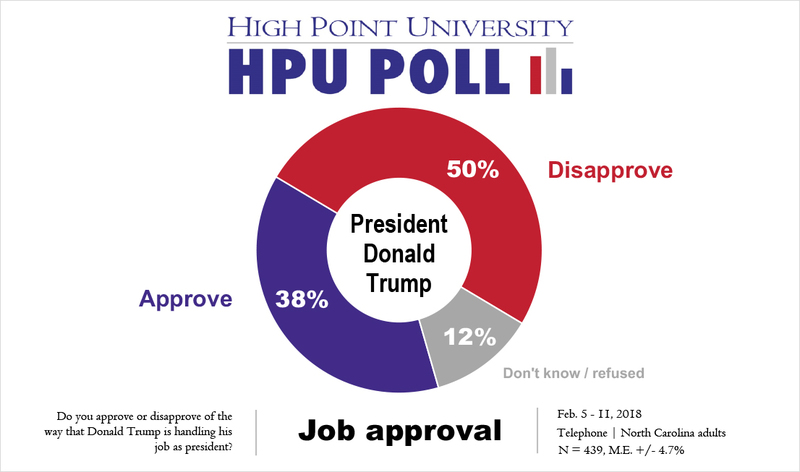 HIGH POINT, N.C., Feb. 13, 2018 – A High Point University Poll finds that North Carolinians give President Donald Trump a job approval rating of 38 percent and Gov. Roy Cooper an approval rating of 46 percent. Meanwhile, a majority continue to say the country is headed in the wrong direction. Approximately half (50 percent) of North Carolina residents say they disapprove of the job Donald Trump is doing as president, and the remaining 12 percent do not offer an opinion. About one in four (26 percent) of these same North Carolina residents say they disapprove of Gov. 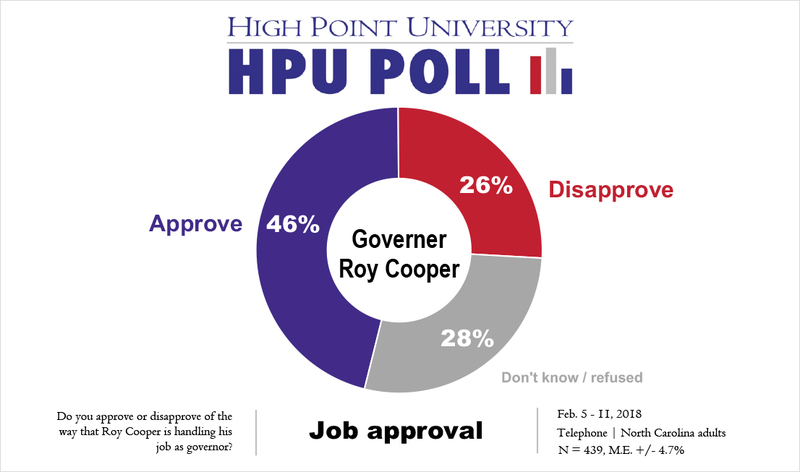 Roy Cooper’s job performance, while 28 percent refuse to offer an opinion either way. 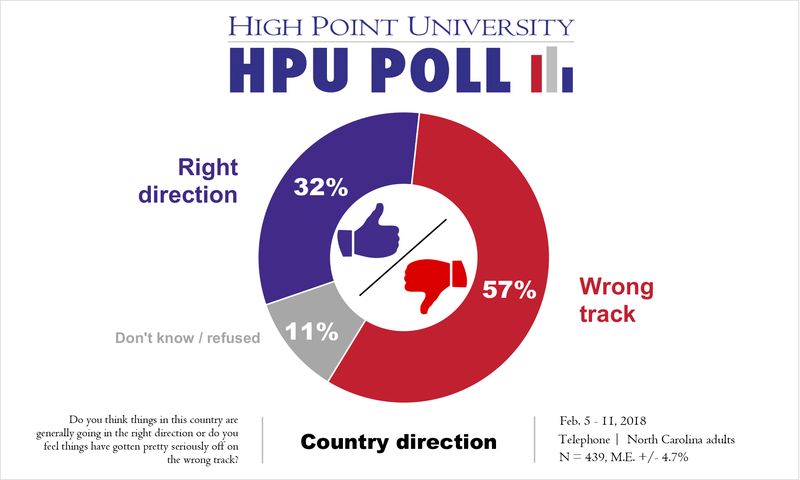 Just over half (57 percent) of North Carolinians say the country is on the wrong track compared to the 61 percent who said the same thing to the HPU Poll in February 2017. 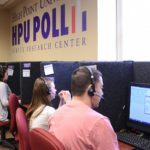 The most recent HPU Poll found that about a third (32 percent) of respondents thought the country was headed in the right direction compared to 27 percent who felt the same in February 2017. In other findings, only 15 percent of North Carolinians approve of how the U.S. Congress is doing its job. 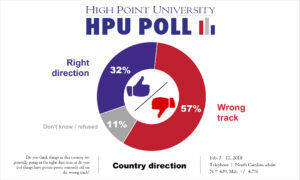 This result is about 8 percentage points lower than when the HPU Poll last asked a sample of all North Carolina adults for a rating of Congress in February 2017. 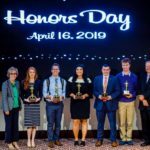 The North Carolina General Assembly had a job approval rating of 31 percent, with 36 percent disapproving and about one third (34 percent) refusing to offer a view either way.